In less than four weeks’ time, on Monday 20 July, the New Zealand Transport Agency’s appeal against the Board of Inquiry decision to decline resource consent for a Basin Reserve flyover begins. The Transport Agency is supposed to be building transport infrastructure to meet future demand – so why does it continues to build motorways, flyovers and the other expensive nostrums of mid-twentieth-century transport planning, instead of spending money on public transport infrastructure for which there is a large and growing unmet demand? One reason is that a Generation X Government with strong ties to the trucking industry is still committed to its $12 billion Roads of National Significance boondoggle. Another is that the New Zealand Transport Agency was created out of two bodies: Land Transport New Zealand (the policy part) and Transit New Zealand (the road-building part). Ever since then, Transit has been the large, well-funded tail wagging the small policy dog. Because what Transit knows how to do is build roads, lots of roads, big expensive roads – and by golly, they’re not about to let some pointy-headed policy wonks and their inconvenient research studies stop them. It seems that, like an addict who knows he or she should stop but wants just one more hit, the Transport Agency is incapable of saving itself from its roadbuilding addiction. 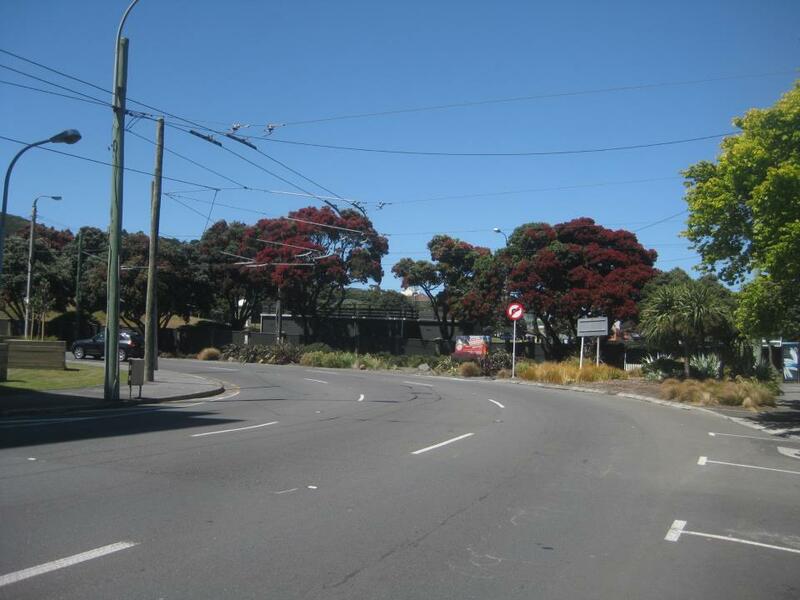 So we’re staging an intervention to save NZTA from itself – and save an iconic part of Wellington from NZTA. Donate to help us bring this tragic flyover addiction to an end. Transport Realities Are Changing Fast. Is The Government Starting To Take Notice? “The average distance travelled per-person in light passenger vehicles has fallen by around 8 percent, from a peak of about 7,600km in 2004, to around 7,000km in 2013. The total distance travelled over the same period has increased marginally (from 39.3 billion kilometres in 2004 to 40.4 billion kilometres in 2013) as a result of population growth. 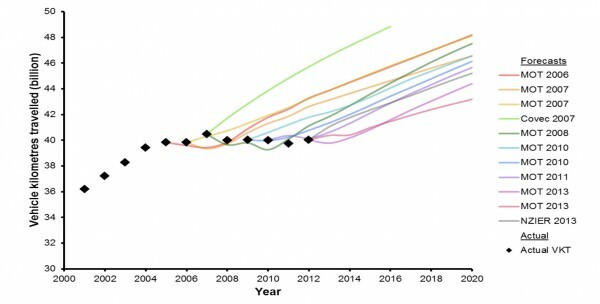 This trend is not unique to New Zealand – it has been observed in a number of developed countries. Save the Basin has already drawn attention in the media to New Zealand research showing that young people in urban centres are turning away from driving private cars. It’s great to see that the Ministry of Transport has picked up on this. The question now is: are the Government and NZTA willing and able to realise that the assumptions on which their transport thinking is based no longer apply? We encourage you to download, read and share Russell’s presentation.